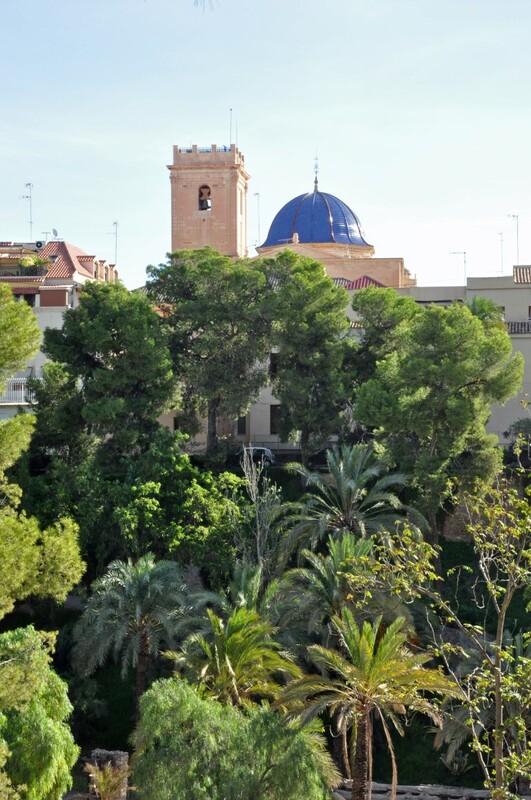 About 20 kilometers from Alicante, lies the town of Elche in the province of Alicante. 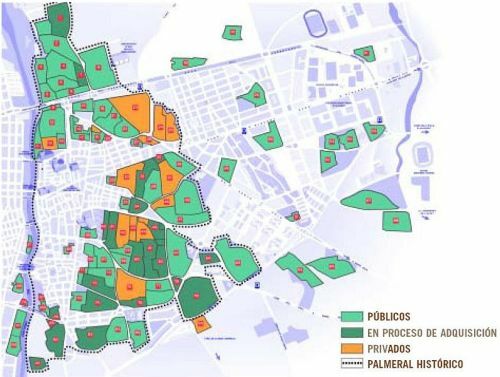 With over 230,000 inhabitants it is the third largest city in the Valencia region. 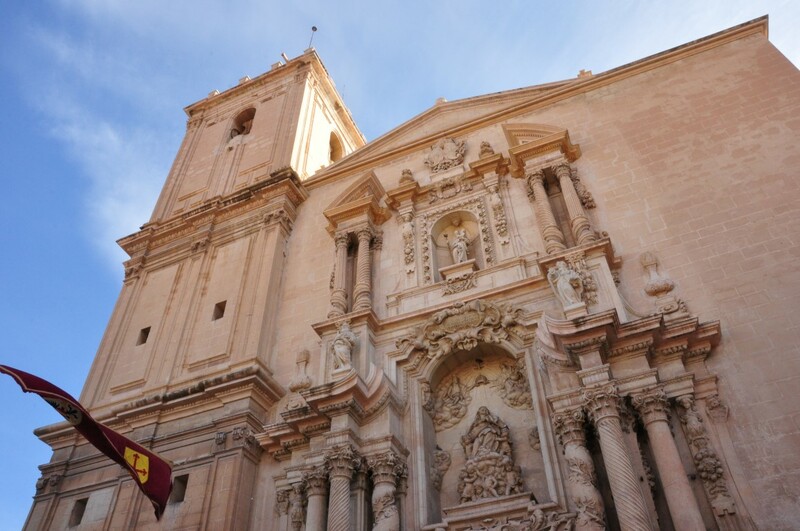 A stroll through the town of Elche passes the Arab history of the city and many Baroque architecture. Thus, the current basilica of the city built on the site where once stood a large mosque. See this basilica of Santa María, pay a visit to the lively square of La Glorieta Plaza and stroll through the beautiful parks of the city. Elche is a very good city for shopping. Especially those who love a nice pair of shoes can enjoy their stay here. Elche is in fact next to the city of palm trees also a real city shoes. Of all the Spanish shoe is `s 50 percent produced in Elche! Make a visit to the Salvador Artesano shoes outlet, this outlet is the largest in Europe and markets many well-known footwear brands. Besides the shops in the downtown area you can find a large shopping L'Aljub on the outskirts of Elche. Here you will find next to many stores also a very large supermarket. The mall is open Monday / Saturday open from 10:00 to 22:00. The beautiful museum Museo Arqueológico y Historia de Elche (MAHE) is highly recommended for those who wants to learn more about the city and its surroundings. The museum consists of two architecturally different parts. The first and most modern part of the museum is under the square and contains exhibits from ancient times. In the second part of the MAHE, which is located in a restored historical palace, you can find the modern history of Elche. The pieces are supported by many audio and visual images that create a lot of interactivity with visitors. Free admission for children under 6 and disabled. On Sundays, admission to the museum free for everyone. One of the most special places in Elche is the Palmeral de Elche. This is more than 200,000 palm trees, one of the biggest palm gardens of the world. Besides palm trees you will also find other Mediterranean trees like the orange tree and the fig tree. Palmeral de Elche was built by the founders of the city (the Moors) and thus very old. Since 2000, the palm garden on the UNESCO list of World Heritage. The palm garden you will find a very special palm tree, the Palmera Imperial (Imperial Palm). This palm tree is the only one in the world with seven trunks and similar in appearance to a candlestick. According to the history princess Sissi fell in 1894 in Elche thanks to this palm tree. Besides these imperial palm tree, there are more palm trees with names, mostly those from palm honor are named after local and national heroes. Besides lovely walk among the palm trees, there are many in the park pigeons and ducks to feed, you will find a bandstand where concerts take place, a restaurant and a visitor center. The visitor center called El Huevo (Egg), and is also recognizable by its round, white shape. Open daily from 7:00 t / m 21:00 (in summer open until 24:00). Admission is free.